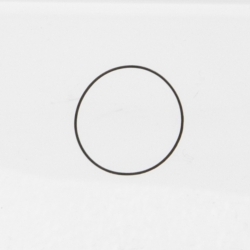 Seginus Inc. is pleased to introduce 15800-359-8EH, O-Ring. Oswego, IL, July 02, 2016 --(PR.com)-- The O-Ring P/N 15800-359-8 is part of the Zodiac 14330 Series Vacuum Toilet Assembly, 15800 Series Vacuum Toilet Assembly and Zodiac Water and Waste Aero Systems 15800-150 Series Smart Toilet Assembly. The Vacuum Toilets is part of the Aircraft sanitation system for in-flight and ground operations. These assemblies are installed in various Boeing, Embraer, and Airbus Series aircraft. Seginus Inc has release the following FAA PMA replacement part to aid in your cost reduction programs when maintaining your Zodiac 14330 and 15800 Series Assemblies.